Figure 24. 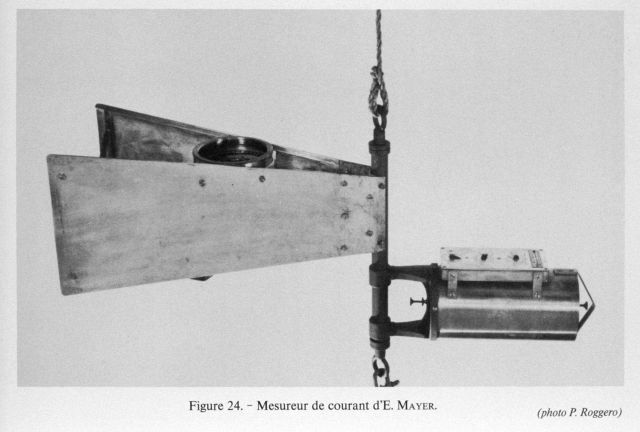 Current meter invented by Ernest Mayer in 1877 for studying currents of the Adriatic Sea. The first tests were made near Pola in the northe rn Adriatic, by Professors Joseph Luksch and Julius Wolf of the Austrian Marine Academy in 1877. They were aboard the steamer DELI.